Elizabeth E. "Liz" Rice, 83, of Chicora, died Tuesday, November 13, 2018 in the Chicora Medical Center following a short illness. 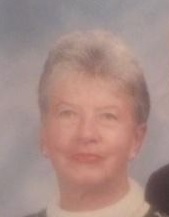 Born Feb. 1, 1935, in Chicora, she was the daughter of the late Jason C. Dunlap and Marcella M. Burns Dunlap. She was a member of Mater Dolorosa Catholic Church in Chicora. Her pleasures in life were golfing, interacting with her nieces and nephews and their children. Liz made her living as a clerical worker. She married Thomas Rice in 1992. He died in 2005. She is survived by a stepson;two stepdaughters; a twin sister, Ellen Collier; a nephew, Mike Collier; a great-nephew; and a great-niece. As per her wishes, there will be no viewing or visitation. Arrangements were entrusted to Steighner Funeral Home, 111 East Slippery Rock Street, Chicora., PA.